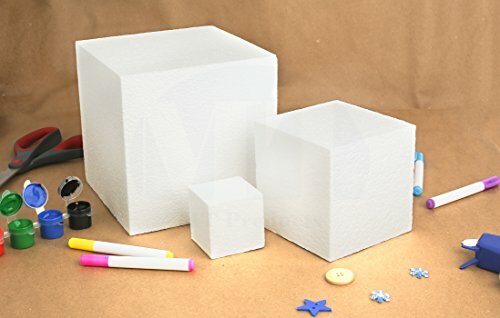 EPS Foam is a feather-light material that is very popular for countless sculpture and craft projects. It's easy to work with, Decorate it any way you like. 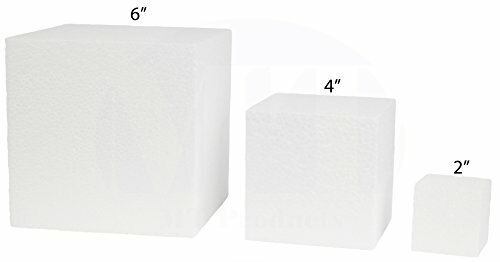 This light, durable and strong foam square is great for crafts, floral arrangements, school projects and many other applications. A great way to stack for your next craft project, centerpiece or floral design. Paint, pin, glue, and sand it! This foam is made of expandable polystyrene molded from tiny beads into fun foam shapes. Smooth and durable foam is perfect for crafting projects. 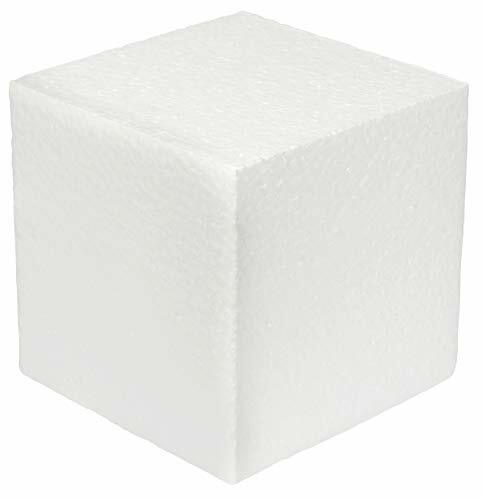 Very lightweight Made in the USA Great for Arts and Crafts Projects This foam is not sponge-like. (Not Squishy) Caution: Test paints and glues before assembling a project.